I'm particularly impressed by the great job done by Chris. We talked through the situation with my three heaters and he was very good at answering all my questions. Nothing was a problem and he happily worked under the house and up on the roof. By checking on the roof he discovered that the cowl had come off the flue and was able to replace with a new one. I now have peace of mind that all is weather tight. Chris also advised on the temperature setting for my gas fired hot water cylinder which I had set too low for safety. It all demonstrated a very skilled, thorough and caring tradesperson. I immediately made contact with Alan who within a two day period organized the quote, the fireplace alteration, the installation of my gas unit and the gas bottles. To say this exercise was 'painless' would be an understatement! Just wanted to say that I was very happy and impressed with both your gas fitter and the electrician who came over to do the work on Monday. I was very happy with the job they did, with the way they worked and their attitude. Was also impressed with the way they both cleaned up after themselves and made the whole installation nice and tidy. My wife was very impressed with the level of service and professionalism we received from your team. I’ll make the payment this afternoon. Can I say that we have always been impressed with the quality of work done by Chris on the jobs that he has done for us. He is a hard worker and always goes the extra distance. He acts in a professional manner, turns up on time and is always very polite and helpful. This is why we have always used your business for all of our gas needs and always recommend the gasman to family, friends and work mates. I have just arrived home from visiting my mother in Hamilton and I was so pleased to see the gas heater installed and it is working well. Thank you so much for organising that job for us, we both really appreciate the helpfulness from you in the first instance and the speed of having the work completed. Even though we were not on site, the workers left our home clean and tidy, we are grateful for that too. I very much appreciate Robert and your hard work and patience - You guys rock! Chris did an excellent job too and he is just as helpful as both of you! I have no doubt will recommend The Gas Man to all my family, friends and whoever needs gas job done. I was very impressed by the job done by Chris. His work was excellent & meticulous. He came up with a brilliant idea on an alteration to the installation of the gas insert. It worked & the fireplace place looks a million bucks!! Thank you so much guys. 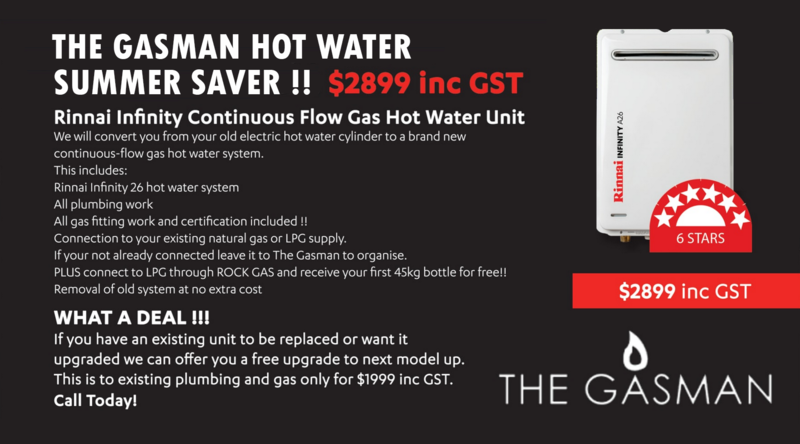 I am so glad I chose Gasman!